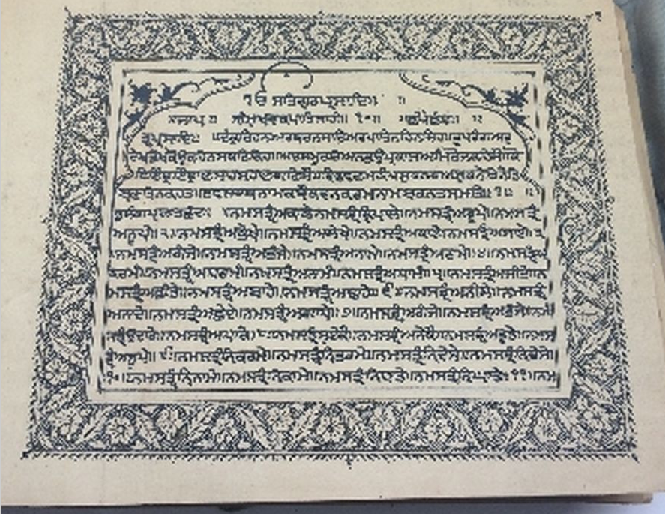 Stone printed manuscript of Sri Dasam Granth Sahib, withdrawn from sale. The Sikhs respect the word of the Guru formalised in the Sikh scriptures. Guru Granth Sahib represents the 'living Guru' of the Sikhs, whilst the Sri Dasam Granth represents the secondary or martial scripture. 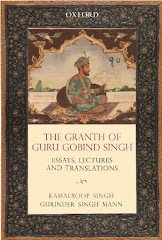 Gurbani or the auspicious words of the Gurus are considered most sacred. In the eighteenth and nineteenth centuries Sikh manuscripts were scribed for the Takhts and Gurdwaras.